A month ago I went to the Greenville (SC) Scottish Games held on the Furman University campus. It was a beautiful day, not too hot, with a special quality of light for June. The humidity was low, the skies were a hazeless blue, with white marshmallow clouds sailing overhead. I'm not sure who this was—perhaps some dignitary presiding over the massing of the bands and the presentation of the awards. 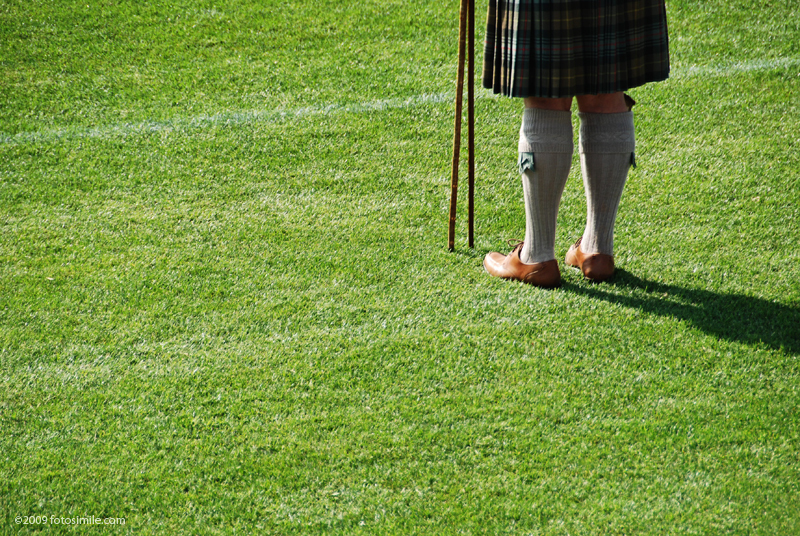 On this and on photos of the bands marching I decided to focus on the kilts and the shadows being cast across the field of green, to abstract the moment more than a straight-forward framing. Stay tuned for more shots from that day. Bonjour, Good idea..Funny framing..Beautiful lightness..bravo!